Completely remodeled and upgraded. The massive back porch (51x14) of this golf course home in The Plantations of Leesburg brings a new level to the meaning of entertaining. Liberal sized rooms and open concept living areas expands the living and entertainment areas to the outside with beautiful vistas and comfortable surroundings. Build in cabinetry throughout. Tremendous walk in closets that will hold even the most lavish wardrobe. Custom shelving in closets. Master bath offers a separate shower, large garden tub, and separate sinks. Inside utility room boasts a sink and storage. Gorgeous serine setting with mature trees shading the backyard. The Plantation at Leesburg is an award winning 55+ community with an onsite restaurant, 3 recreation centers with heated pools, 36 hole golf course, pickle ball, tennis courts, softball field, 2 workout rooms, sauna, walking trails, and over 200 clubs and organizations to keep you active. 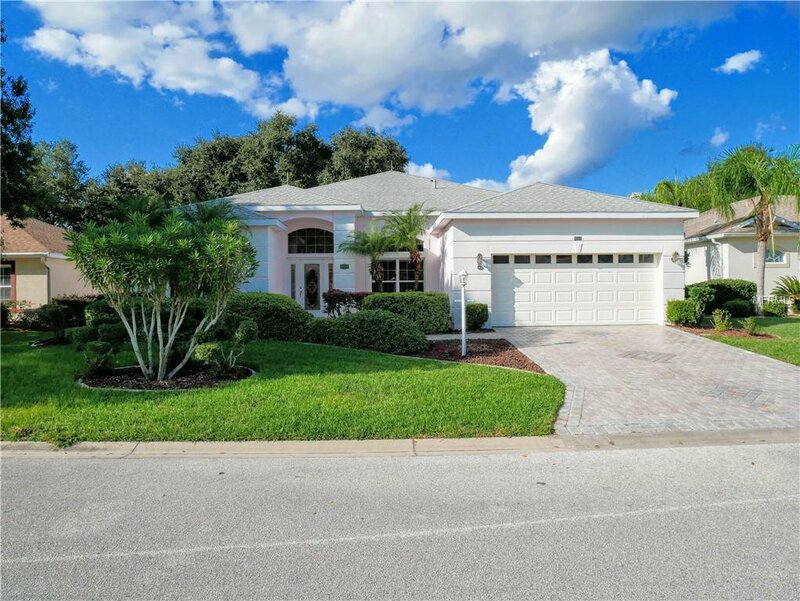 If you are looking for a move in ready home in a remarkable 55 plus community, this home is perfect for you. Low monthly fee of just $95. Great location which is convenient to the turnpike, Disney World, and The Villages! Home is move in ready. Call to schedule your viewing today! Listing courtesy of WATSON REALTY CORP. Selling Office: THE K COMPANY REALTY.